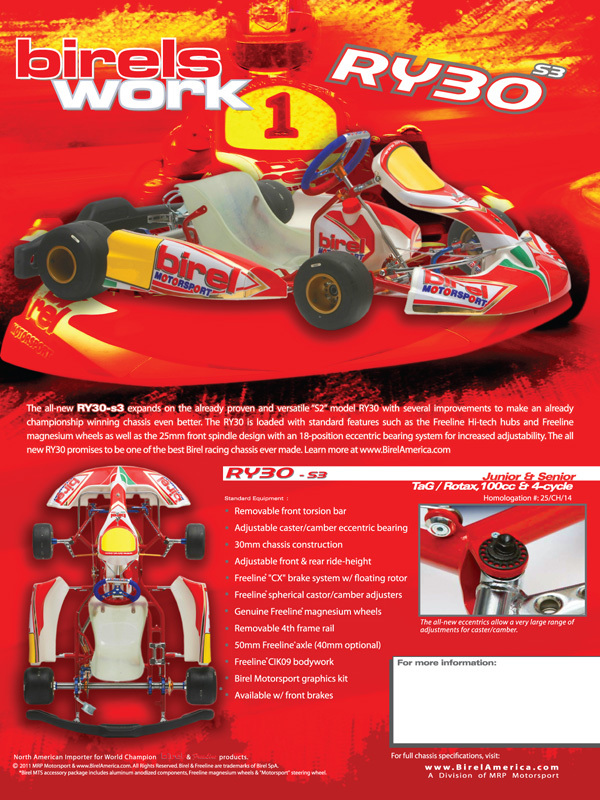 The 2011 Birel RY30-S3 product brochure is now available. The RY30 has proven to be one of the best chassis available for both the Junior and Senior TaG/Rotax as well as the 100cc market. The latest revision has said to be one of the best chassis ever produced by Birel! Download complete PDF Specification Sheet HERE. For more information or to locate your closest dealer, contact our sales office at 269.756.9133.